Since many of you are recently engaged and you're curious about what each of our four wedding collections include, I'll be blogging all about each of them over the next few weeks! I'll share plenty of photos from weddings within each collection, so you can know just what to expect if you choose to book with us. Each of our wedding collections are all-inclusive. 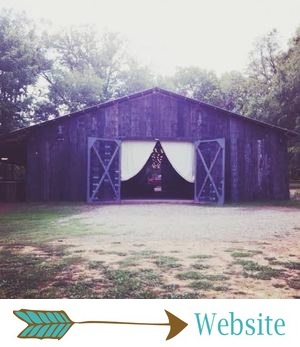 We offer an elopement package, as well as four collections that include everything from just the basics to everything you could possibly need for an over-the-top wedding. Our Simply Sweet collection is brand new, and we're thrilled to start planning Simply Sweet weddings for a few brides this year! The Simply Sweet collection includes the basics: ivory linens, burlap runners and a simple menu for the reception; lots of mason jars; simply pretty bouquets and floral arrangements. These weddings will be rustic and simple, but so very pretty, quaint and romantic. Simply Sweet weddings are similar to our elopements, because our team gets creative freedom on florals and decor. You tell us the colors and overall theme or style that you like, and our team gets to handle all the details and surprise you on your big day. While this may sound a little scary, I can promise you that our brides who have given us total creative freedom end up just as happy with their weddings as brides who plan every little detail with us! When our team is allowed to be totally creative, magical things happen. If you're unsure, check out this post all about elopements. Our team had creative freedom on each of those, and they are some of the prettiest weddings we've done, in my opinion! This collection is perfect for the couple who is on a tight budget, but who still want a gorgeous wedding in an impeccable setting. It's for folks who want a jaw-dropping wedding on a budget, without having to work hard on the details themselves. It would also be perfect for a vow renewal. As the name of this collection implies, it's ideal for couples who want a sweet, intimate, simple wedding that doesn't skimp on style!